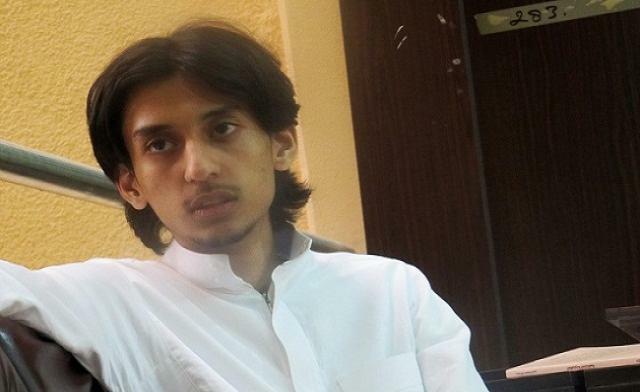 Saudi journalist Hamza Kashgari has been deported by Malaysian authorities over the accusations of insulting the Prophet Muhammad in a tweet. Police confirmed that Hamza Kashgari, 23, was sent back to Saudi Arabia on Sunday despite protests from human rights groups. Hamza Kashgari’s controversial tweet last week sparked more than 30,000 responses and several death threats. Hamza Kashgari fled Saudi Arabia last week and was detained upon his arrival in the Malaysian capital Kuala Lumpur on Thursday. The journalist had tweeted his doubts about Muhammad on the prophet’s birthday last week. Saudi clerics condemned his remarks as blasphemous. Hamza Kashgari apologized and deleted the tweet, but when he continued to receive threats, he left for Malaysia. The two countries do not have a formal extradition treaty but as fellow Muslim countries Malaysia has good relations with Saudi Arabia. Malaysia’s home ministry issued a statement on Sunday saying Hamza Kashgari would be sent back, the AFP news agency reports. “Malaysia has a long-standing arrangement by which individuals wanted by one country are extradited when detained by the other, and (Kashgari) will be repatriated under this arrangement,” AFP quotes the statement as saying. Amnesty International has warned that Hamza Kashgari could be executed in Saudi Arabia if he is found guilty of apostasy. “If the Malaysian authorities hand over Hamza Kashgari to Saudi Arabia, they could end up complicit in any violations he suffers,” said Hassiba Hadj Sahraoui of Amnesty’s Middle East division. Whitney Houston news UPDATE. The star partied heavily the night before her death.